Dynapole is not responsible for overloading of poles. The buyer must ensure that the fixtures to be installed do not exceed the structural limits of the poles, and are appropriate to the wind region. Please consult our specifications or contact Dynapole if you require assistance. Dynapole décline toute responsabilité pour la surcharge des poteaux. L’acheteur doit s’assurer que les luminaires dont l’installation est envisagée ne dépassent pas les capacités structurales des poteaux et sont appropriés aux vents de la région. Veuillez consulter nos spécifications ou communiquer avec Dynapole si vous avez besoin d’aide. Prices quoted are firm for sixty (60) days, F.O.B. Dynapole factory, freight and applicable sales taxes extra, unless otherwise specified in writing. Separate shipments of anchor bolts, etc., are shipped with transportation charges extra. Dynapole reserves the right to adjust prices quoted in accordance with any changes in prevailing transport rates, sales taxes, or any new taxes imposed. Prices subject to change without notice. Polyester prices apply to brown and black only; other colours are subject to a surcharge. Minimum billing $75.00. Payable in advance. Net thirty (30) days, upon credit approval. Goods are invoiced when completed and ready to ship. Title and risk of all goods pass to purchaser when the contract is made or when the goods are loaded for transportation to the purchaser, whichever is sooner, but Dynapole reserves the right to retain or resume possession until the purchase price is paid in full. Goods are inspected prior to dispatch. Any claims for loss or damage in transit or off-loading shall be filed with the transportation company by the consignee. By installing any products, the end-user grants Dynapole a non-restricted licence to use photos of such installations for promotional material. Shipment of goods must be made within thirty (30) days of completion, or be subject to a stocking charge. Poles not erected immediately must be unwrapped by purchaser and stored above ground. Dynapole is not responsible for erosion to finish caused by improper storage. Dynapole is not responsible for delays in completion of contracts due to fires, strikes, labour difficulties, accidents, delays in transportation, shortage of fuel, power, materials or supplies, or for any other reason whatsoever, whether caused by negligence or not. In no event shall Dynapole be liable for any special or consequential loss or damages of anticipated profits, loss resulting from delays, or loss of use of equipment of any installation into which its goods may be installed. 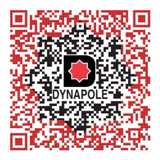 At Dynapole’s option, goods are subject to replacement or repair within one (1) year of invoice date, where defect is proven from normal use for purpose intended. The defect must be reported in writing to Dynapole within thirty (30) days of its appearance. Dynapole will not be liable for any special or consequential damages including, but not limited to, cost of temporary substitute product or labour costs to repair or re-install the product or any transportation cost to and from Dynapole’s plant if factory replacement of the defective product is deemed necessary. The foregoing warranty is exclusive and in lieu of all other warranties, whether expressed, implied, and/or written. This warranty constitutes the exclusive and sole remedy of the purchaser and liability of Dynapole. Service by others will not be honored without written authorization from Dynapole; there are no warranties with respect to the services performed or materials supplied by others. Dynapole must give written authorization for the purchaser to return goods; shipping charges for returned goods must be prepaid by the purchaser. If the purchaser wishes to cancel an order, Dynapole must give written acceptance of the purchaser’s cancellation, and the cancellation charges to the purchaser shall be the Dynapole incurred costs, but in no case less than ten (10) percent of the value of the order. Dynapole reserves the right to cancel any order or part thereof for which it is unable to procure the goods or if the purchaser becomes bankrupt or insolvent. Hold orders will not be manufactured until released by the purchaser, at which time they are subject to review. Rush orders may not be processed until the purchaser furnishes a shipping address and date required. Blanket orders are valid only during the year the order is placed. Unshipped balances are charged at year’s end, and goods are shipped to purchaser’s designated storage area; otherwise, stocking charges apply. Substitution: Dynapole reserves the right to substitute specifications. Drawings are pictorial.